In the previous lessons we learned how to install Angular 5, and how Angular 5 components work. Now, let's learn about how templating and styling work with Angular. Angular 5 provides you with a powerful HTML-based templating system that allows you to communicate back and forth from the template to the component class. Angular also allows you to specify a variety of preprocessors when working with CSS, such as SCSS, Sass and Stylus. Let's continue working on the project we started from the previous lessons. Notice templateUrl? This is a property that expects an external HTML file that will serve as the template for this component. We don't want an inline template, so make sure you switch back to using the default templateUrl property. 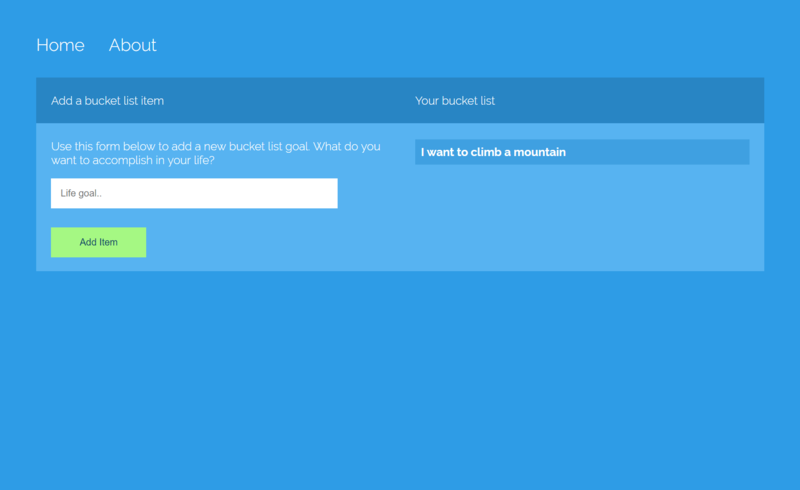 Throughout this course, we are going to keep building on the same project where you can specify a list of life goals (a bucket list, in other words). Let's define the core template HTML that make this app actually work. Right now, everything is static. We aren't using any type of bindings or directives, but we will a little bit later on down the road. At this point, we're only interested in establishing the basic HTML structure so that we can use CSS to make it look presentable. Each component gives you the ability to specify inline and external CSS styling to the component template. We don't want inline CSS, so make sure you revert back to styleUrls. Each of these component style files applies to the actual component HTML. There also exists a global styles file that we can apply CSS rulesets to. Here, we're just defining some global CSS that we want applied to all components. At this point, we've installed Angular 5, understand basic component structures, and now know basic templating and styling in Angular 5. In the next lesson, we're going to learn about property and event binding.